If you’ve ever tried to stop smoking cigarettes, you’ve most likely experienced the discomfort of nicotine withdrawal. Turns out, CBD can help. If you’ve ever tried to stop smoking cigarettes once and for all, you’ve most likely experienced the discomfort of nicotine withdrawal. Nicotine withdrawal symptoms include strong cigarette cravings, irritability, heightened stress, headaches, sleep disturbances, sweating and chills, fatigue, anxiety and mood swings. These symptoms are usually strongest within the first week after quitting, and with any withdrawal process, the likelihood of relapse is highest at this point. While there are dozens of nicotine-based products, including e-cigarettes to help reduce cravings, it turns out that cannabis is also a powerful tool that is helping many people kick their cigarette habit. We found that CBD seems to reduce the salience of cues. It can also reduce anxiety and may affect a memory process called ‘reconsolidation,’ which is when a memory of the reward of smoking is re-activated by seeing someone smoking, it is rendered vulnerable to destruction. To summarize, CBD can remove positively associated smoking memories from the brain, making it easier for the user to quit altogether. 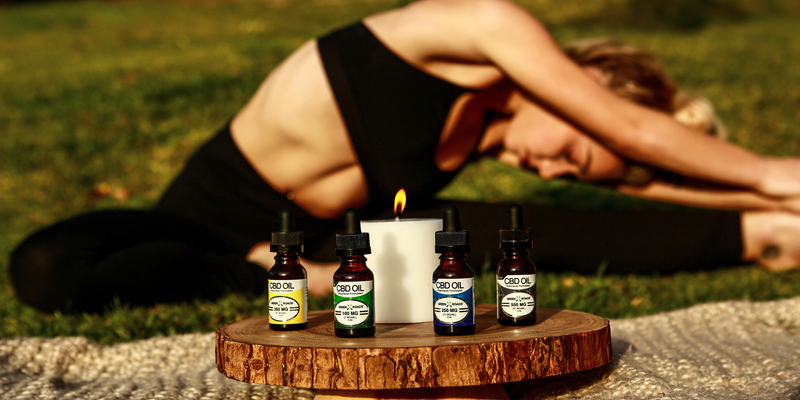 CBD oil protects against stress and reduces the chances of stress-induced conditions in the brain and nervous system. It also calms inflammatory responses within the body. Ingesting one or two doses of high CBD oil right after quitting can not only control your cravings, it can also lessen most of the corresponding symptoms. Placing a couple drops underneath the tongue at bedtime can induce a more restful sleep as well. As mentioned above, participants of the smoking cessation study used inhalers and saw a 40 percent drop in cigarette use. Cannabis inhalers are relatively new, but if your state has a medical marijuana program, check with local dispensaries to see if they offer these.